People who spend a lot of time in the kitchen problem find themselves in constant need of more storage space. This is especially true for people whose kitchens don’t have a pantry area. The good news is that even if your home doesn’t have a built-in pantry, there are still options. Pantry cabinets are a standalone storage option that can give you some extra space for food and other common kitchen items. If your kitchen could use a little bit of extra room to store your belongings, a pantry cabinet can provide you with just that. Check out 10 pantry cabinets perfect for your kitchen. 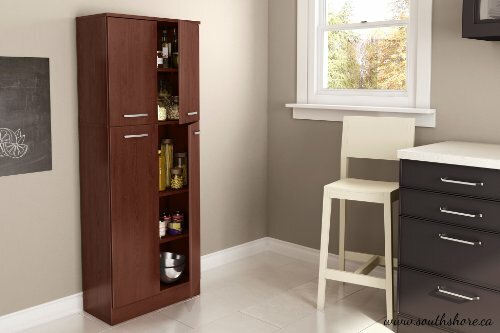 Simple yet beautiful, this pantry cabinet has lots of space to help you store and organize everything you need in your kitchen. 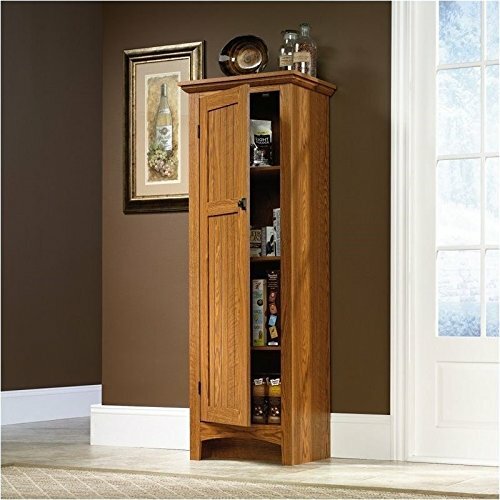 This pantry cabinet is made of solid hardwood to ensure years of quality use. 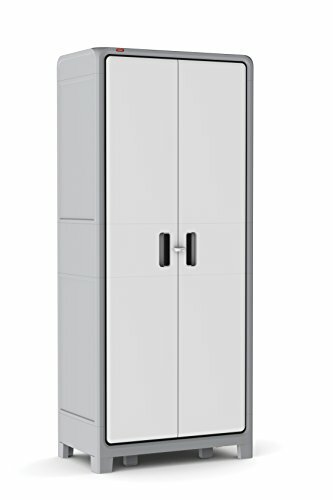 It boasts two large cabinet areas and a drawer so you won’t have to worry about having enough room to store your things. 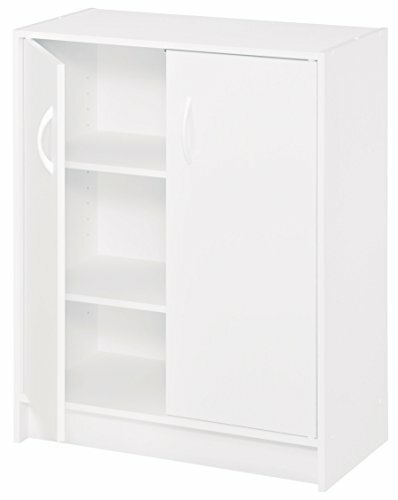 A nice white finish allows this pantry cabinet to blend in well with almost any design. In addition, there is plenty of drawer and cabinet space for storage. 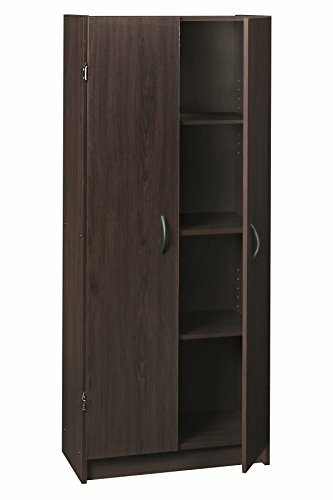 If a taller cabinet won’t work with your space, you may want to consider going with a smaller option such as this item. 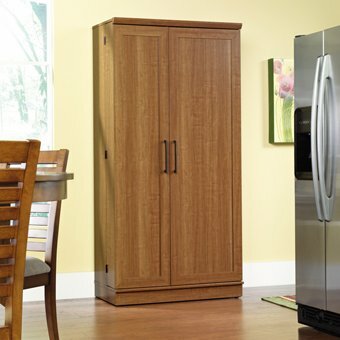 One of the best things about pantry cabinets is that they aren’t just good for kitchens. 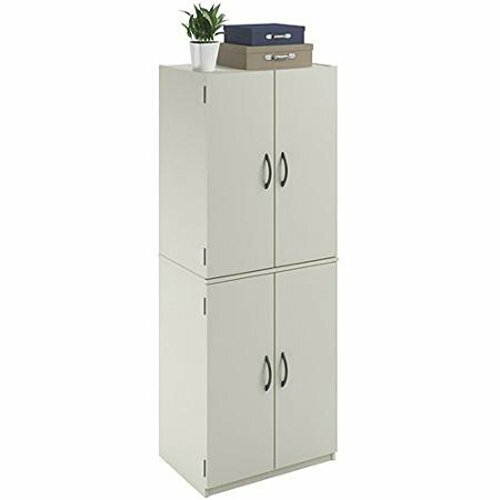 These cabinets can also work in any other room in your home where you need a little bit of extra space. Featuring five shelves, this pantry can help you keep your kitchen organized and in order. 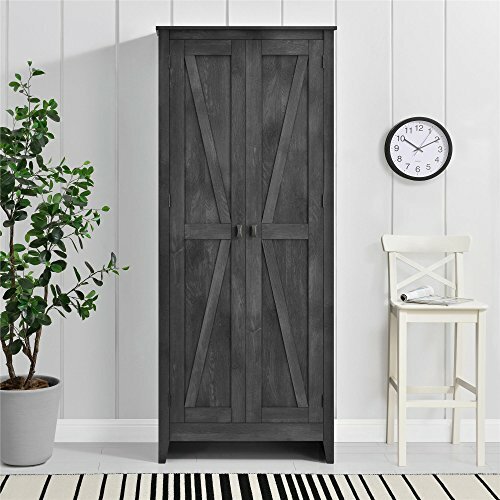 Extra storage space isn’t always easy to come by, but this item packs storage and style into one item. You can never go wrong with a beautiful wood finish. 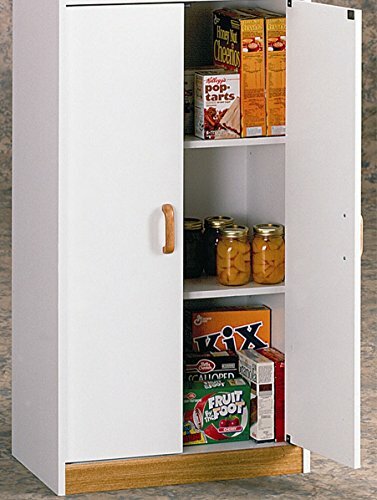 This pantry cabinet provides the best of both worlds by being simple and practical. Fans of contemporary style will definitely appreciate this sleek cherry red pantry with metallic gray handles. 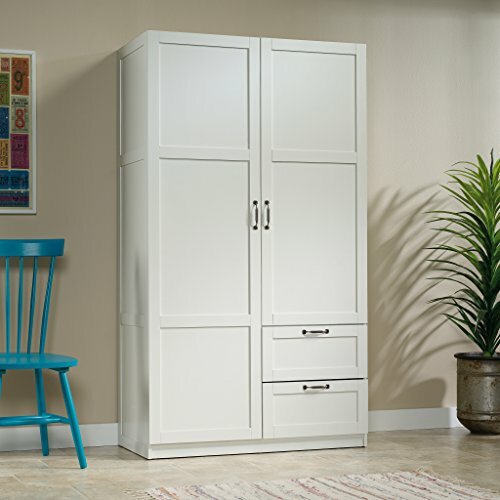 Storage units don’t have to be bulky and unattractive. 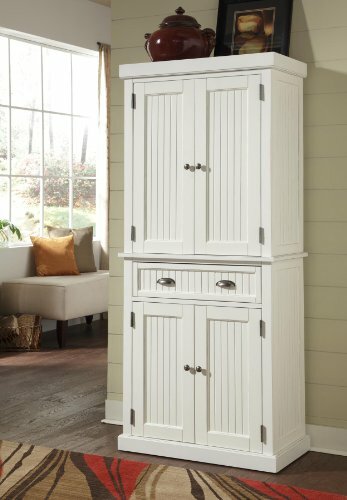 Inspired by rustic farmhouse design, this cabinet has a beautiful weathered finish.